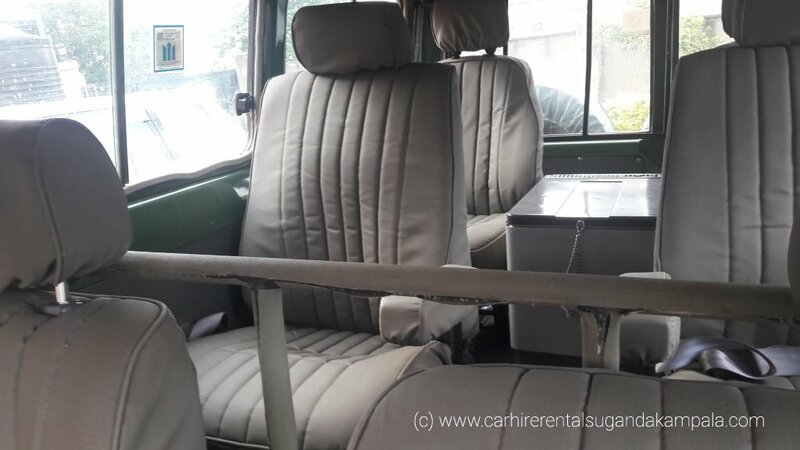 Comfortable 4×4 safari vehicles for rent in Uganda. 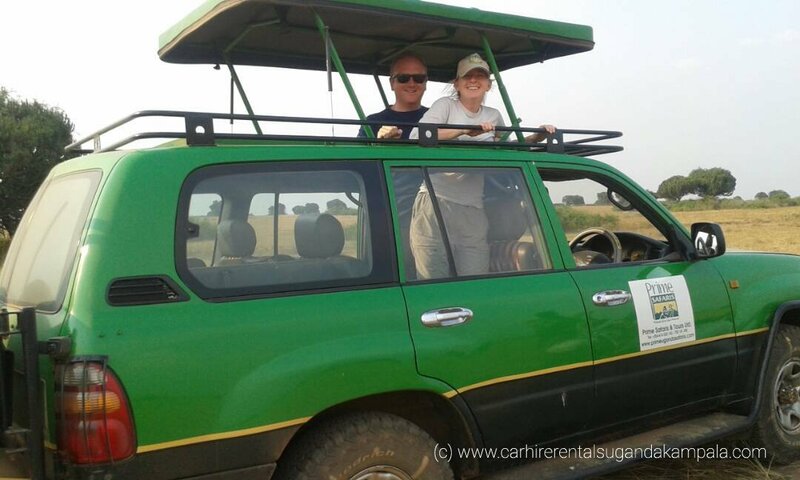 Safari cars for hire are efficiently maintained, inspected and serviced regularly to cater for all client transport needs to any of their destinations. Safari vehicles are inspected by SGS therefore quality is guaranteed. Hiring a car in Uganda is associated with a knowledgeable well-trained driver who will help get you to all your desired destinations and providing all the necessary information along the way. This is so impossible when you use public means. Hiring a car allows you to safari at your own pace. With cars for hire, there is an added advantage of stop overs along the way. To get to each national treasure point in Uganda or Rwanda there several other beautiful spots along the way. With public means it becomes costly stopping at each spot and continuing again using another means of transport. Cars for hire in Uganda and Rwanda are in most cases hired from tour operators. This guarantees you a safe tour since there is effective communication and help in case of any need. Safari/field vehicles are well equipped with first aid boxes and mobile phones to ensure direct communication with the tour operators offices. For more convenience, phone contacts and the email address are given so as to remain accessible in case of need. When you’re comfortable with self-drive, then hiring a self-drive car in Uganda is possible enabling you to enjoy the convenience of commuting at your own pace with your group. This is recommended when your knowledgeable of your destination. Cars for hire include additional benefits like breakdown assistance in case of any occurrence plus comprehensive insurance. Toyota land cruisers for hire have amenities like power adjustable front seats, a 14-speaker sound system with an integrated iPod jack, fog lamps, a power moon roof, auto dimming, heated outside mirrors with power folding, front and rear parking-assist sonar, four-zone automatic climate control and Bluetooth smartphone connectivity are fitted as standard, Air conditioners, parking sensors all around and enough space for luggage. This is not really possible when a tourist uses public means. Interior view of Toyota land cruisers for hire. Planning a safari to a new destination is one thing that comes with a strong decision either for the adventure there or urge for discoveries, but the biggest worry is how to get around. Do not let anything get in to your way especially if it’s about transportation within your destination. 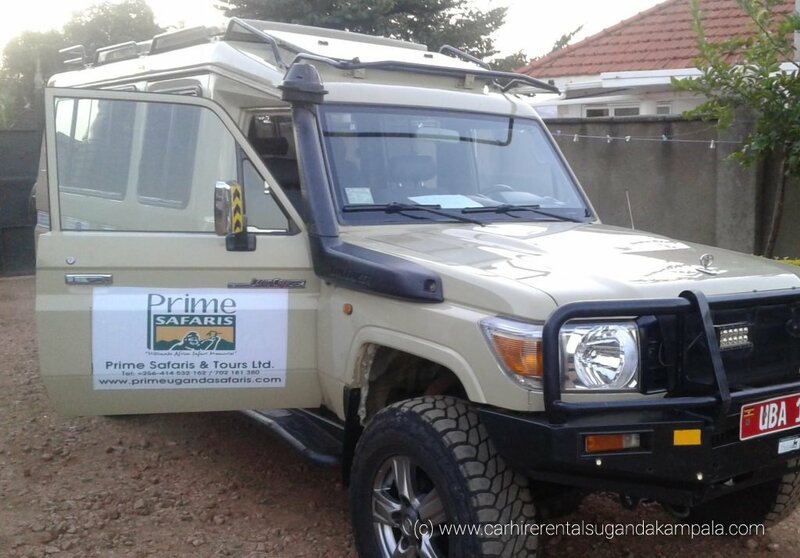 For Uganda and Rwanda safaris, Prime Safaris & Tours ltd discovered the need for comfortable safaris and got a solution for that. 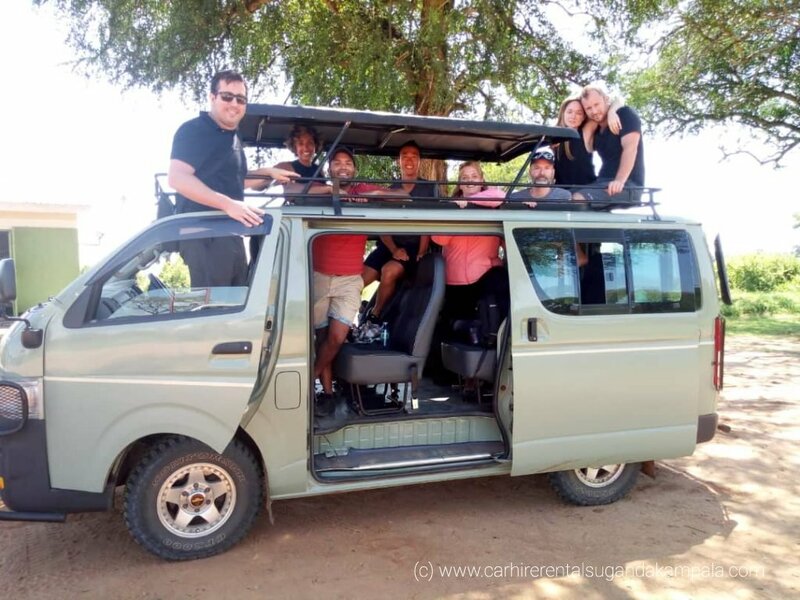 For any kind of group or trip, you can hire a car for your safari with a knowledgeable guide/driver or take a self-drive car for hire in Uganda using your favorite car. Latest models of 4x4Gx land cruisers that carry between 5-8pax and modified with great comfort for a Uganda tour to the national parks inclusive of a knowledgeable driver. These are good for small families that are planning luxury tours in Uganda or Rwanda. Looking for cars that support large group travel? 4×4 big buses for hire/rent and 4x4minibuses/coasters with air conditioning cater for group safaris and to any destination in Uganda and Rwanda. Customized 4×4 (9-seats) safari vans with a pop-up roof top that favors wildlife viewing. These carry many people and many can stand at the same time to view wildlife during a wildlife safari in Uganda or Rwanda’s national parks. No one doesn’t want a comfortable safari, enjoy waking up from comfortable naps to continue with comfortable drive safaris with no worries. Just rent a car and have a blissful safari in Uganda or Rwanda.